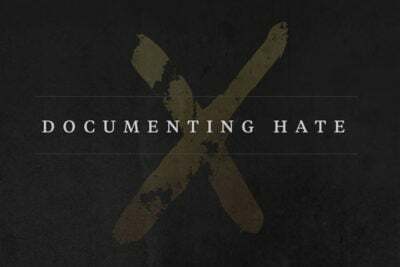 We’re launching a new interactive project, the Documenting Hate News Index, that shows just how ubiquitous hate incidents really are. 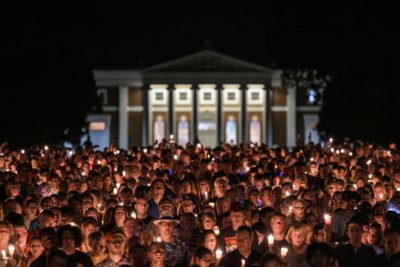 When news of violence at a white supremacist rally in Charlottesville spread across the U.S., many responded with disbelief, insisting that such abhorrent behavior and views were un-American. “The poison spewed by Nazis, white supremacists, and the KKK is not who we are as a country,” tweeted Sally Yates, former deputy U.S. attorney general. But our work on ProPublica’s Documenting Hate project shows that instances of hate are actually all too common. Everyday people — not just avowed “white nationalists” — intimidate, harass, humiliate and even harm their fellow Americans because of the color of their skin, how they worship, or who they love. We’ve been tracking hate incidents across the country, collecting data from police reports, civil rights groups and the public. This page lists media reports, collected by Google News, about hate crimes and bias incidents. We worked with the Google News Lab and a data visualization studio called Pitch Interactive to build a web app that makes it easy to search news stories about hate crimes and bias incidents, and to find and track specific subjects. Today, we’re making the app public. The Documenting Hate News Index is updated every day. You can use it to search and filter by keyword and date range to see what hate incidents have been reported in local and national news outlets. It’s by no means a complete accounting of all hate in America. It includes only incidents reported by a news outlet indexed by Google News. And in addition to cataloging violence, harassment and vandalism, the project includes stories about hate crimes legislation and programs designed to combat hate in local communities. Hate Crime Index is a daily snapshot of incidents that we hope will shed more light on an urgent problem facing America. 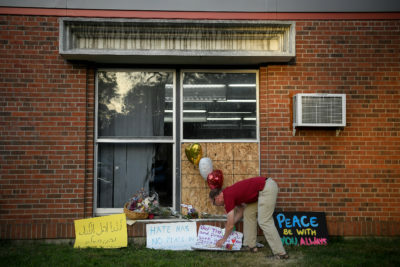 On August 5, a device was thrown through the window of a Bloomington, Minnesota mosque, causing an explosion in the imam’s office. No one was injured. The FBI is investigating the attack as a possible hate crime. Police arrested a North Carolina man accused of hanging a noose from a tree in his neighbor’s yard, as well as putting up signs with racial epithets. He was later charged with ethnic intimidation. In Irvine, California, a man was charged with a hate crime after he made religious slurs against two women, one of whom was wearing a hijab, and threw coins at them. Two men beat up a transgender woman in Staten Island, New York while yelling anti-gay epithets. They were charged with a hate crime. In New Jersey, a group of bikers harassed an Indian-American family and punched the father in the face, telling him to “go back to your country.” Police initially investigated the incident as “racially motivated,” but later said the confrontation stemmed from a road rage incident. No suspects have been arrested so far. And in Lake Worth, Florida, a man shot two people, killing one, after yelling “I hate you damned gays, I’m going to kill you all here.” The suspect was charged with first-degree murder; the Palm Beach State Attorney’s Office told the Sun Sentinel it’s too early to determine a hate crimes charge. In Colorado Springs, residents held a “love lives here” rally in the wake of two hate vandalism incidents. For more details, check out ProPublica’s Documenting Hate project. If you’ve witnessed or been the victim of hate, we want to hear your story. Fill out our incident form.